Great boat for great Miami bay experience ! Thanks for choosing us. We look forward to having you on board! 2 Hours , 4 Hours and 8 Hours rental possible only. - Please plan to arrive 30 minutes before your start time. In case of late arrival, we are not able to extend your rental time. - Cancellation Policy: No charge for reservations cancelled 24 hours prior to reserved time or due to inclement weather (rain, lightning, thunder). Customer will be liable for the cost of rental if they do not email to cancel a reservation according to 24 hours cancelation policy. Please remember that if you need to cancel or reschedule the activity for any reason, let us know over the email. All reservations are required to be done online. No reservations/cancelations over the phone. If you have not received confirmation of reservation, your reservation is not valid. - All credit and debit card payments are subject to a 4% payment processing fee. All discount vouchers are subject to 7% Florida Sales Tax. No boating experience is required for this Boat. After some simple instructions, you will be ready to captain your Boat! Please arrive 30 minutes before your scheduled time to check in and get boating and safety instruction. The boats are strictly forbidden to go to sea-ocean, boats may only be used in the bay. No fishing, no water sports. Law requirement: A person born on or after January 1, 1988, may not operate a vessel powered by a motor of 10 horsepower or greater unless such person has in his or her possession aboard the vessel photographic identification and a boater safety identification card issued by the commission. 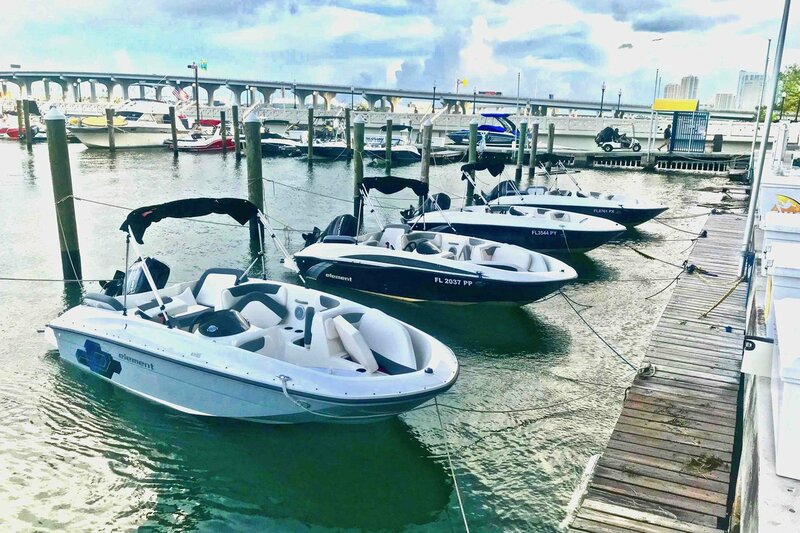 Do you offer different times for the boat rental? This boat rental is available for full day trips (8 hours) and shorter trips of 2 hours for some days on the week. Please message owner for more details.